Favorite book by a writer I’d already read: Evgenii Vodolazkin’s The Aviator (previous post) was thoroughly enjoyable to read and it’s just as enjoyable to translate: I finished a smoothed rough draft yesterday and can only marvel at how nicely the book’s themes and plotlines fit together. Vodolazkin’s theme of timelessness and time’s spirals feel especially topical (I don’t want to write “timely”!) just before a holiday that’s so based on the nature of time. The Aviator fits beautifully with Laurus and Solovyov and Larionov, making a sort of triptych, all to be published by Oneworld Publications. Favorite book by a writer I’d never read: Aleksandr Grigorenko’s Mebet (previous post) has stuck with me very nicely: Grigorenko’s portrayal of a fierce taiga warrior is beautiful and epic in all the right ways, making for a perfect combination of simple and complex, too. I bought Grigorenko’s Ilget when I was in Moscow and am looking forward to reading it… though I’m also a bit afraid to pick it up after having enjoyed Mebet so much. Nicest book surprise: It was a lovely surprise to receive a big, flat package from Russian Life a few months ago: the box was clearly too heavy to contain a calendar and I certainly wasn’t expecting a copy of The Spine of Russia, a coffee table book with photos by Mikhail Mordasov and Paul E. Richardson, along with commentary from the photos’ highly varied subjects, about whether they consider themselves patriots. I’m a sucker for books with vivid, telling photos of Russia so of course I love paging through to look and read, particularly in combination with Richardson’s Driving Down Russia’s Spine, a companion book with a textual account of the trip that covers the same characters—who include Vodolazkin—in much more detail. Richardson, who enjoys quirkiness, includes lots of interesting tidbits about history and contemporary (2015) life in Russia, including the far north, an area of particular interest for me. Happiest moods: I think winning the Read Russia Award and being shortlisted for the Oxford-Weidenfeld Translation Prize pretty much topped everything (previous post)! That said, signing contracts to translate Vodolazkin’s Aviator (Oneworld), Margarita Khemlin’s Klotsvog (Columbia University Press/Russian Library), and Guzel Yakhina’s Zuleikha Opens Her Eyes (Oneworld) put me in pretty excellent moods, too, particularly since I loved reading all three books. Nice reviews for Vadim Levental’s Masha Regina, also for Oneworld, made me very, very happy, too! Best travel: Moscow, for the literary translator congress and for my love of the city (previous post). Beyond the award, it was fun to see colleagues, authors, and old friends, and amass lots of books to bring home. Favorite novel about translation: I made up this new category because I keep thinking about Idra Novey’s Ways to Disappear (and the hair brush! ), which I enjoyed so much (previous post). Novey has said she wrote it as a love letter to translation and that truly comes out. What’s coming up in 2017: In terms of translation: my translation of Marina Stepnova’s Italian Lessons is in the works and should be on the way, plus I’ll be finishing The Aviator and Zuleikha and starting on Klotsvog. In terms of the blog: I have a lot of posts to write to get caught up on my reading, though some common themes—as well as some (honestly, far too many) disappointments that have made me think more about my expectations as a reader—mean I’ll write some roundups. I’m now reading Sergei Kuznetov’s Kaleidoscope, which is over 800 pages of, hmm, connected stories/chapters that have a strange way of drawing me in. I’ll be greeting 2017 with that book. I also have my Crime and Punishment reread project, which involves Robert Belknap’s wonderful Plots, sent to me by Columbia University Press, whose package of the first three Russian Library books was waiting for me at the post office today, just in time for the holiday. Thank you again! Thank you to everyone for visiting the blog, whether regularly or occasionally. I’m glad it’s useful and wish everybody a very happy, healthy 2017 filled with many good books! Special thanks go to Columbia University Press and Russian Life for sending the books I mentioned above. A new travel truism, for personal use: the busier I am when I travel, the less there is to report. And a corollary: the more tired and jetlagged I am during travel, the fewer notes I take. And of course: the fewer notes, the less there is to report. It’s a vicious circle. Moscow first. I visited the Moscow International Book Fair several times, largely because it was a convenient and surprisingly pleasant place—the pop-up coffee shop was a nice touch, with cake and couches—to meet up with friends and colleagues. Plus, of course, I could get a lot of my book shopping done. That despite the fair seeming considerably diminished since I last visited, in 2014. Another plus: strolling the ever-weird grounds of what I still call VDNKh. The biggest programmatic highlight was a roundtable on Russian literature in translation. I couldn’t stay long but was pleased to hear literary agent Julia Goumen speak about her agency’s authors who have been successful in translation with books that might be considered unconventional. (There’s another truism in here somewhere, about the wisdom of matching the right kind of unconventional to the right publisher…) As examples, Julia listed Ludmilla Petrushevskaya’s There Once Lived a Woman Who Tried to Kill Her Neighbor’s Baby, translated by Keith Gessen and Anna Summers, which hit the New York Times bestseller list, plus Eugene Vodolazkin’s Laurus (previous post) and Marina Stepnova’s The Woman of Lazarus (previous post), both of which have been sold for translation into more than 20 languages, including into English (by me). Another bit: Eugene Reznichenko, director of the Institute of Translation, spoke of the fact that translators sometimes take on functions akin to an agent’s and noted that a translator’s recommendations and agreement to translate are often seen as a sort of seal of approval. The Congress of Literary Translators was, as always, hectic fun, with eight concurrent tracks running both days. It all began with a plenary session, where I spoke after Vladimir Grigoriev (who talked about Ekaterina Genieva: Genieva died in summer 2015 and had been director at the Library for Foreign Literature for years), linguist Maksim Krongauz (who discussed English-to-Russian translations and issues related to domestication and foreignization), and Eugene Vodolazkin (who, among other things, professed that translators and authors should love one another). I hadn’t known Vodolazkin’s topic but I enjoyed riffing on it in my talk since I do, after all, only translate books and authors that I love. My topic, though, was Russian literature in translation, focusing largely on business aspects, things like why the dearth of books translated into English makes it so important to match books with translators and publishers who fit them. Strenuous editing, targeted marketing, and the benefit of a cluster of publishers that focus on translations fit into all this, too. It was such a relief to finally give my talk that I didn’t write down a single word from the next two talks, by Mikhail Yasnov and Eugene Reznichenko; they spoke about, respectively, the Russian translation school and the Institute of Translation’s first five years. Another Congress highlight: an evening event with authors Dmitry Danilov, whom I love reading, and Guzel Yakhina, whose Zuleikha Opens Her Eyes I loved reading (previous post) and am now translating, that was moderated by translator Mikhail Vizel, whose articles about literature I also love reading. I still need to read Danilov’s book about soccer, which he considers more avant-garde than his Description of a City (previous post), which was such a favorite. And it was nice to hear Yakhina mention that rights have been sold for a miniseries based on Zuleikha. I’ve already written about my biggest highlight of the Congress, the Read Russia Award, here. There’s a photo of my very heavy pile of books below. The American Literary Translators Association Conference felt pretty calm after all that, despite attendance increasing to around 450 souls (!) and despite considerable Russian-related activity, including another Russian translation workshop, which Anne Fisher and I co-organized. The workshop involved verbs, around 20 people, and some Gold and Silver Age literary chocolates. As far as sessions go, my conference got started with “Translation and Performance: Staging the Russian Word,” chaired by Ainsley Morse and also involving Caroline Lemak Brickman, Alexandra Tatarsky, and Matvei Yankelevich; and featuring zaum (beyonsense) and even mime. Bilingual Readings included these translations: Marian Schwartz reading from Andrei Gelasimov’s Into the Thickening Fog, Katherine Young reading poems by Inna Kabysh, Jesse Irwin reading from prose by Friedrich Gorenstein, Jim Kates reading poems by Sergey Stratanovsky, and Jamie Olson reading poems by Timur Kibirov. Of course I took no notes (this seems to be a bad trend) but particularly enjoyed hearing Kate read Kabysh and Jamie read Kibirov, both because it’s always a pleasure to hear them read and because I’ve heard them read their translations of these same poets at ALTA conferences past and it’s a pleasure to build on past readings and impressions. My personal ALTA highlight was participating in a roundtable with Aviya Kushner and chair Curtis Bauer: “Grace, Gratitude & Kindness.” Put briefly, we discussed acts of generosity and were truly grateful for audience members’ contributions, both to the conference session and to our own translation practices. As for that heavy bunch of books, here it is, in a spectacularly awful photo. I’ve already read Sasha Filipenko’s Hounding (previous post), the first volume of Boris Minaev’s Soft Fabric and part of the second (they’re good but I’m a bit indifferent…), attempted Sergei Soloukh’s Stories About Animals (previous post), put Oleg Nesterov’s Heavenly Stockholm in limbo (it’s simultaneously and oddly dull yet absorbing), and used Morkovkin’s quirkily helpful Big Universal Russian Dictionary, (I had to translate that title because I love it so much), which you can glimpse here, many times. (One of our cats likes it, too, as a chew toy.) I’m amazed that I really did translate pieces about contemporary art some years ago for the book that says State Tretyakov Gallery on the spine. And my final literary act in Moscow was to buy the Strugatsky book at the airport with my last rubles: it’s Beetle in the Anthill and I’m reading it now. I think I finally may have found a Strugatsky novel that I truly enjoy. 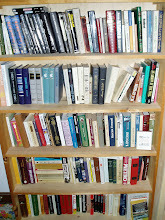 The California books include several translations. The only Russian translations are Written in the Dark: Five Poets in the Siege of Leningrad, edited by Polina Barskova (please check the link for all the poet and translator names! ), and Marian Schwartz’s translation of Andrei Gelasimov’s Холод, known in English as Into the Thickening Fog. Just in time for the Polar Vortex! I brought home a bunch of other translations, too, chosen at Bay Area bookstores on a lengthy excursion with my very patient cousin: Laia Jufresa’s Umami, translated from the Spanish by Sophie Hughes, which I’m reading now; Fiston Mwanza Mujila’s Tram 38¸translated from the French by Roland Glasser; Sofi Oksanen’s When the Doves Disappeared, translated from the Finnish by Lola Rogers; and Sara Nović’s Girl at War, which isn’t a translation, though I’m including it here because Sara was at ALTA a couple years ago in Milwaukee. Disclaimers and the Like: The usual. Particular thanks to the Institute of Literary Translation for bringing me to Moscow for the Congress, the many people who fed and coffeed me in Moscow, and all the publishers and authors who gave me so many of the books in the photo: Vardvan Varzhapetyan, Shashi Martinova, Vremya, Anastasia Strokina, and Maria Galina. And Amazon Crossing, too, for handing out copies of the Gelasimov book at ALTA. Up Next: Reading roundup. Sukhbat Aflatuni’s peculiarly compelling The Ant King. The Strugatsky book. (I think I’m on an insects-in-the-title kick here, hmm, what’s next?) Plus I’m rereading Crime and Punishment, something that was precipitated by the offer of a copy of Robert Belknap’s Plots from Columbia University Press. Belknap focuses on King Lear and C&P so I’m planning to reread Lear, too, and make this a winter reading project that will culminate in reading Plots straight through. (It’s already been fun to read random bits and pieces…) I’m enjoying C&P far more than I could have hoped, in part because I’m reading it in Russian but also because I’m keeping Oliver Ready’s translation nearby. Oliver’s notes are very informative, his translation reads beautifully, and it’s a pleasure to read peculiar bits (such as an ambiguous phrase or non-standard language) in the Russian, wonder how he’ll translate, and then find his fantastic solutions. It’s no wonder his translation was shortlisted for the English-language Read Russia Prize in 2015—that being the year he won for a different book, Vladimir Sharov’s Before & During (previous post)—and the 2016 PEN Translation Prize. Anyway, more on all that in the coming months! Winners of the 2016 Big Book Award were announced this evening in Moscow. The top jury prize went to Leonid Yuzefovich for his Winter Road, which already won this year’s National Bestseller award as well as a translation grant from the Russian Booker. Evgenii Vodolazkin won second prize for his Aviator (previous post) and Ludmila Ulitskaya took third place for her Yakov’s Ladder (previous post). My summary of all this year’s Big Book finalists is on the blog here. All three of these authors have won the top Big Book prize in the past and all three of these books were published by Elena Shubina’s imprint at AST. Reader’s choice awards, which were announced last week, went to Ulitskaya’s Yakov’s Ladder, Maria Galina’s Autochthons (previous post), and Vodolazkin’s Aviator. The Big Book site notes that only four votes separated the Galina and Vodolazkin books. An award for contributions to literature went to Boris Kupriyanov, who is, among other things, a co-founder of the Falanster bookstore in Moscow as well as a key figure for two Moscow book fairs/festivals. -Mikhail Edelshtein’s concise pre-ceremony plus/minus view of all the finalists, on Lenta.ru. -Maya Kucherskaya's summary on Vedomosti. After mentioning that Aleksei Ivanov didn't win anything for his Nenast'e Kucherskaya suggests that a special prize could be given so that all deserving books win something. I'd expected that Ivanov's book would win something (my prediction was that he, not Ulitskaya, would be in the top three and I wasn't far off, Ivanov's point total was very, very close to Ulitskaya's) but special prizes like that would be impractical for an award like Big Book, where the jury is large and members have the option of voting remotely, making that sort of prize logistically difficult. Not to mention contentious! Beyond that, it seems to me that awarding three jury prizes and three reader's choice prizes is already very generous. -Anna Narinskaya's commentary on Kommersant is far more interesting. I, too, wish books like Sergei Kuznetsov's and Dmitry Danilov's had been Big Book finalists this year: they're both on my shelf but even without having read them yet, I have a strong suspicion that they would have been far better choices than, for (safe) starters, the book about reptiles, which was very, very weak. I couldn't agree more with Narinskaya that books like Danilov's spice up Big Book shortlists: they help readers discover writers and there's a lot to be said for diluting the mainstream. This is a minor point (and I'm probably splitting hairs here) but I can't say that I fit her perception that members of the jury want to read books that reflect on and connect Russian history and the Russian present: my personal bias is just for books that are interesting/compelling and hold together structurally. This time around--and last year, too, with Guzel Yakhina's Zuleikha Opens Her Eyes--those happened to be books that involved Russian history. And of course I love Laurus and The Women of Lazarus. And lots of other novels that somehow blend history and the present. But I'm open to anything. Like Danilov's books, which are generally very much in the present... and which I always enjoy so much. -Two pieces by people I know and thus particularly enjoy reading: Mikhail Vizel on the Год литературы site notes, among other things, that Yuzefovich said that Ivanov should have won. (He also notes that only two points separated the Ulitskaya and Ivanov books, almost nothing, given the totals.) Konstantin Milchin, for TASS, places particular focus on the lack of new names. -Klarisa Pulson for Novaya Gazeta (here), who says the results were too predictable. Something I agree with... but a jury has to vote on a set list of books. Disclaimers: The usual. I’m a member of the Big Book’s Literary Academy, its jury, and received all the books from the Big Book and, in some cases, the books’ literary agencies. I have translated books by Vodolazkin—I’m currently working on The Aviator—and excerpts from books by Galina. Up next: Belated autumn travel report. Belated reading roundup. And books: Sukhbat Aflatuni’s The Ant King, which is very suspenseful and oddly absorbing. Pyotr Aleshkovsky won the 2016 Russian Booker Prize today for his novel Крепость (The Citadel). Aleshkovsky has been a Booker finalist in the past—in 1994 for Жизнеописание Хорька (Skunk: A Life), in 1996 for Владимир Чигринцев (Vladimir Chigrintsev), and in 2006 for Рыба (Fish)—so I wasn’t surprised to see The Citadel win. The Citadel, which I began but did/could not finish, is also a finalist for the Big Book Award; Big Book Award winners will be announced next week. Several of Aleshkovsky’s books have been translated into English: Arch Tait translated Skunk: A Life for Glas (the original title refers to a ferret), and Nina Shevchuk-Murray translated Fish: A History of One Migration and Stargorod: A Novel in Many Voices, which combines stories from Aleshkovsky’s Институт Сновидений and Старгород, for Russian Life Books. I wrote about Fish here, mentioning in that post that I’d enjoyed nature passages from Skunk (Ferret!) very much: some of Aleshkovsky’s winter scenes in that book have stuck with me longer than my more recent readings of Fish and The Citadel. Please note that Aleshkovsky’s first name is spelled “Peter” on all these translations. In other news, Leonid Yuzefovich won the Booker’s grant award, for an English-language translation of his The Winter Road, a beautifully compiled and composed book about Civil War figures in the Russian Far East. The Winter Road also won this year’s National Bestseller Award and is on the Big Book shortlist, too; it was one of my top three books in the eleven-book list of finalists. -The Booker has yet to post a story about the awards but TASS did: here. -TASS also posted a piece by Konstantin Milchin (an acquaintance of mine) about the award, in which he discusses his dissatisfaction with the Booker jury's decision, which, in effect, says The Citadel is the best novel of the year--that's the Booker's stated goal, after all. The piece is here and, as so often happens, I agree with Kostya's points, which get at some of the reasons I didn't/couldn't finish the book. I was also interested to see that he mentioned, as I did in my post, the fact that Aleshkovsky was thrice a Booker finalist before The Citadel. (I have to think that fact and being able to point to the novel's positive hero were deciding factors for the jury.) The quotes that Kostya included seem to have inspired readers to dig up other awkward passages that, hmm (repurposing Kostya's words a bit), show a lack of compassion for the reader, see, for example, Meduza, here. -I'll add more links when/if I find them! -Here's another one, very favorable to Aleshkovsky's win, by Maya Kucherskaya: link. Disclaimers: Russian Life Books sent me copies of Fish and Stargorod. I received electronic copies of The Citadel from both the Big Book and Aleshkovsky’s literary agency, and The Winter Road from the Big Book Award. Up Next: Big Book winners; Sukhbat Aflatuni’s The Ant King, which is just plain weird but also suspenseful and mysteriously compelling; book roundup; and two books in Boris Minaev’s Soft Fabric trilogy, which were, combined, a Booker and Yasnaya Polyana finalist.